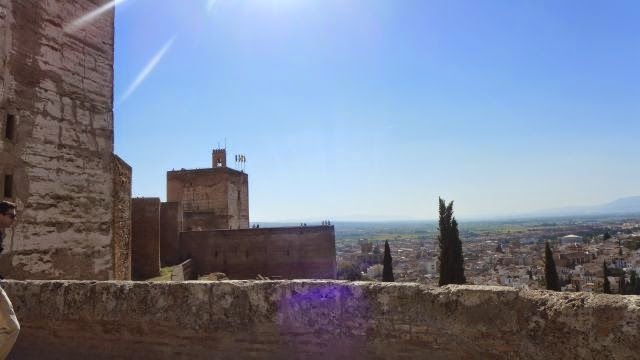 Alhambra, or Al-Hamra in Arabic means the red one, referring to the reddish brick walls located on top of the hill al-Sabika, on the left bank of the river Darro and in front of the neighbourhoods of the Albayzin. 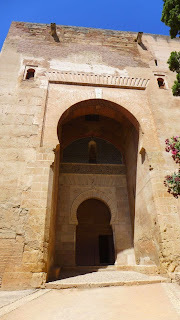 In 889, Sawwar ben Hamdun sought refuge in the Alcazaba, a fortress which is the oldest part of the Alhambra. 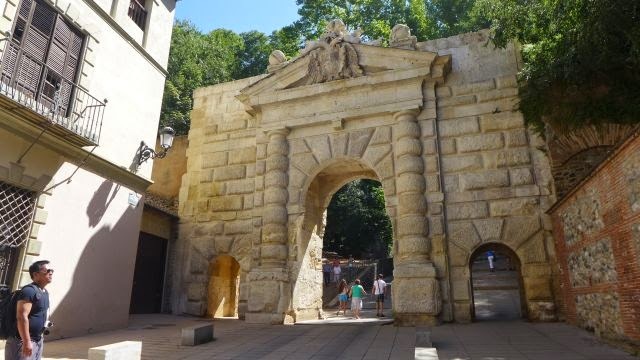 This site subsequently started to be extended and populated. 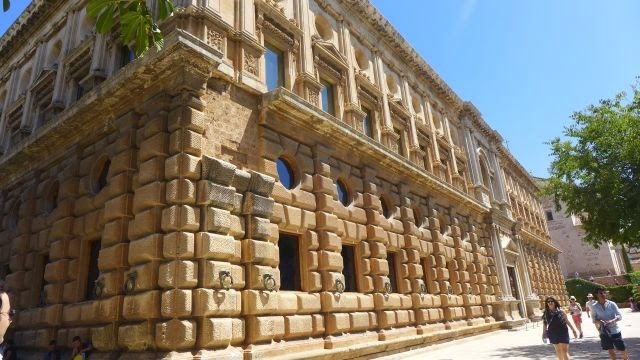 The complex is surrounded by ramparts and has an irregular shape. 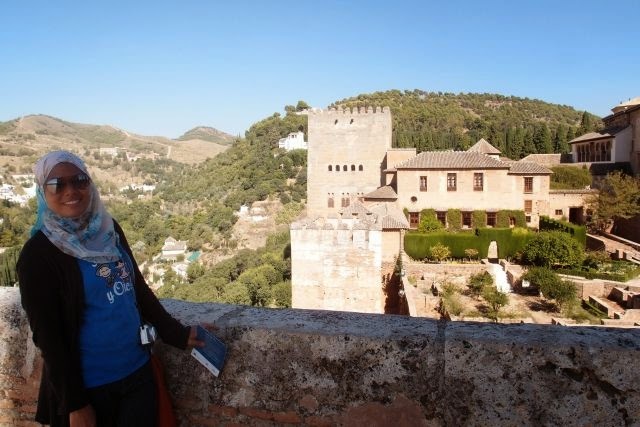 The castle of the Alhambra was added to the city's area within the ramparts in the 9th century. 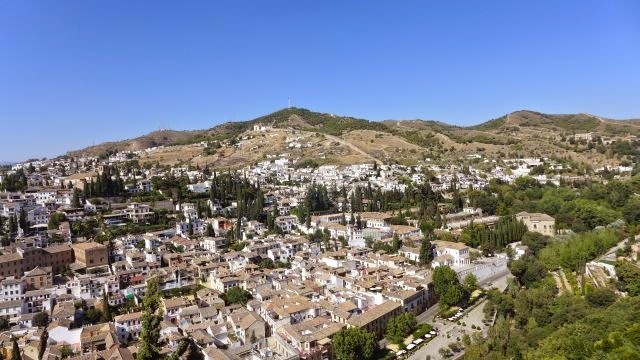 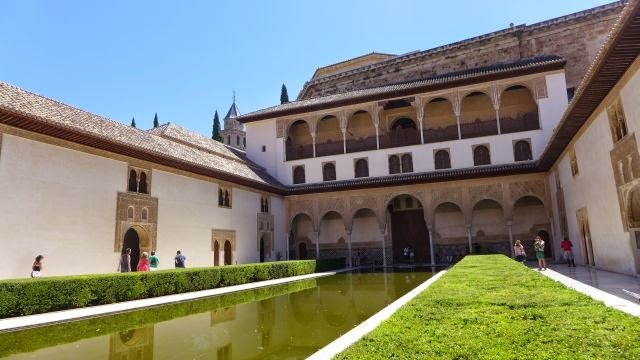 It was not until the arrival of the first king of the Nasrid dynasty, Mohammed ben Al-Hamar (Mohammed I, 1238-1273), in the 13th century, that the royal residence was established in the Alhambra which was the beginning of the Alhambra's most glorious period. 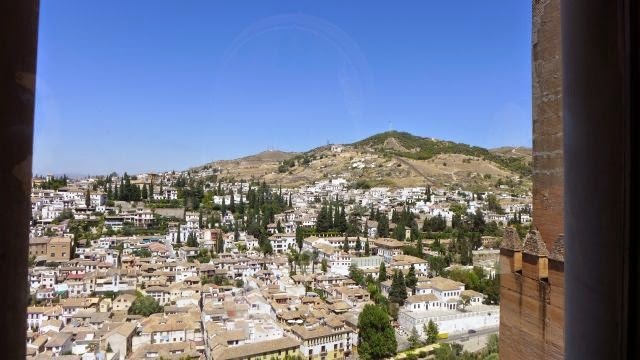 After the reconquista of Granada, Charles V ordered the construction of the palace which was built between 1527 and 1957 next to the Alhambra in order to enjoy its wonders. 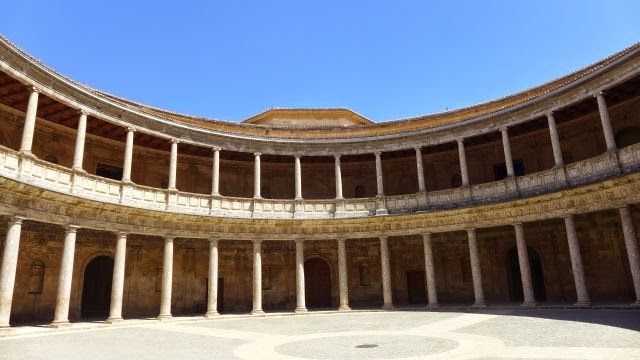 Its circular patio is the first in Renaissance architecture. 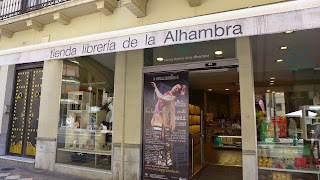 There is the Museum of the Alhambra and Museum of Fine Arts in here. 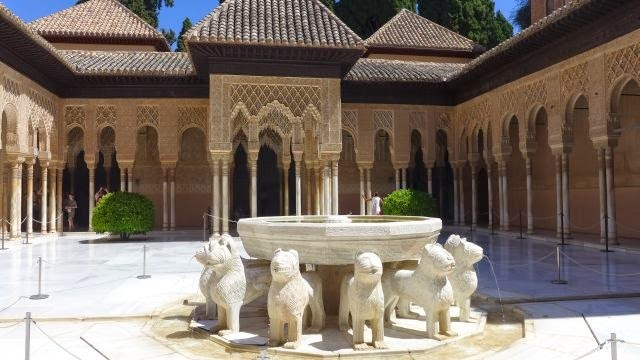 There are three independent areas in the Nasrid Palaces (Palacios Nazaríes): the Mexuar, which corresponds to the semipublic part of the palace or selamlik, for justice administration and State affairs; the Comares Palace (Palacio de Comares), which was the official residence of the king; and the Palace of the Lions (Palacio de los Leones), which was the private area of the palace, where the Harem was located. 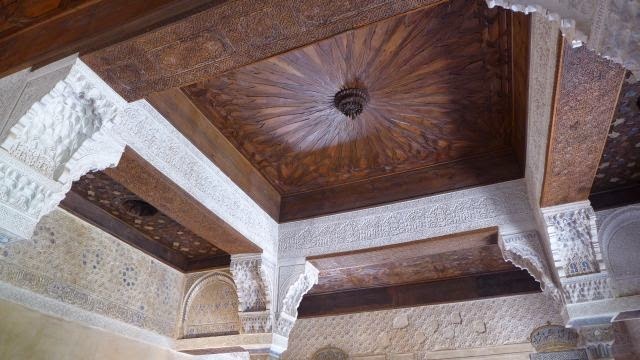 Mexuar is derived from the Arabic term Maswar, the place where the Surah or Counsel of Ministers met. 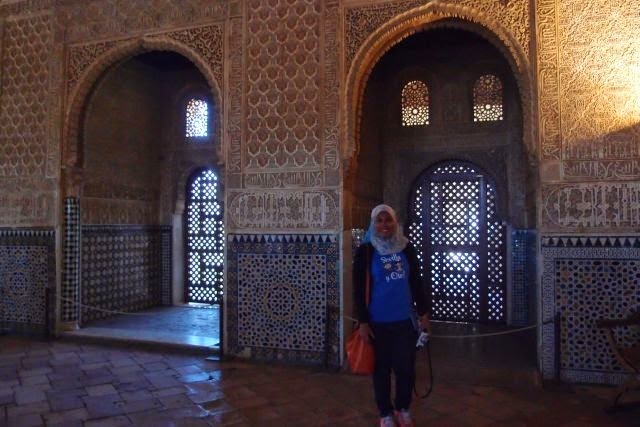 It was also the place or hall where the Sultan dispensed justice. 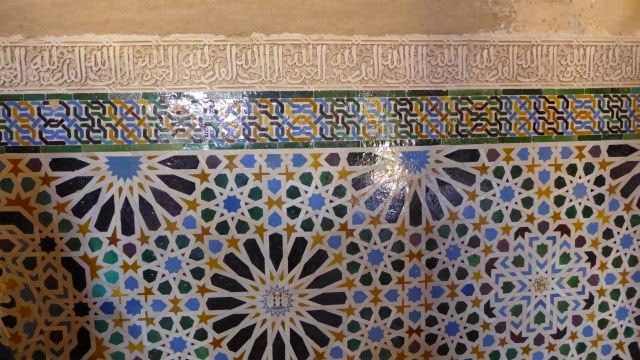 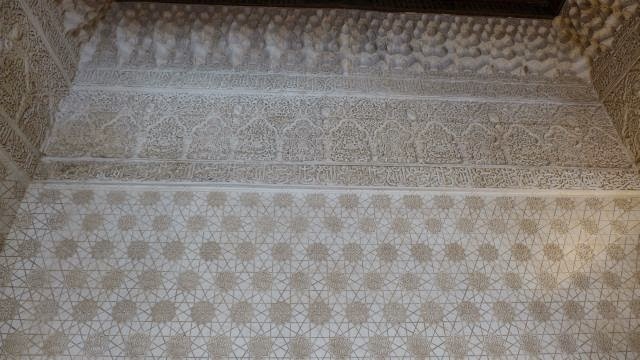 Its decoration was adapted by Yusuf I (1333-1354) and later by Muhammad V (1362-1391). 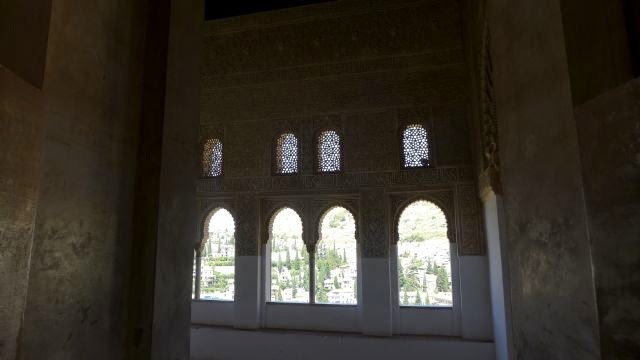 Oratories where worshippers pray have windows that allowed worshippers who were kneeling on the floor with their arms leaning on the window sill to observe the landscape and reflect on the greatness of nature and divine creation. 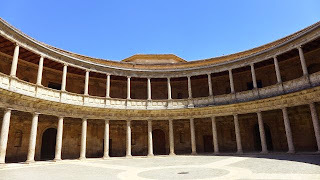 The Comares Palace was the official residence of the king and it comprises several rooms that surrounded the Court of the Myrtles (Patio de los Arrayanes). 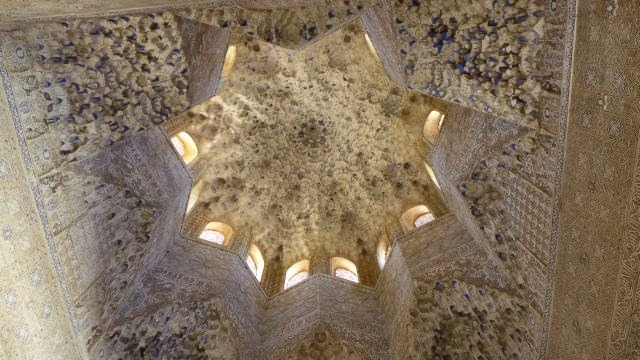 Some examples of the rooms are the Hall of the Boat (Sala de la Barca) to the north and the Hall of the Ambassadors (Salón de los Embajadores) inside the Comares Tower (Torre de Comares), from which a view over the valley of the river Darro may be enjoyed. 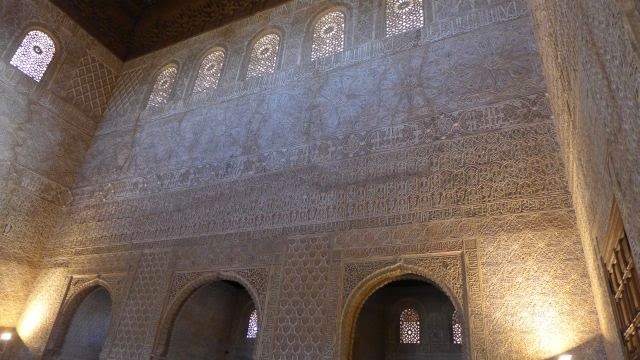 This palace comprised the private chambers of the royal family built by Mohammed V. Some of the halls here are the Hall of the Mocarabes (Sala de los Mocárabes), the Hall of the Kings (Sala de los Reyes) t, the Hall of the Two Sisters (Sala de Dos Hermanas), the Hall of the Ajimeces (Sala de los Ajimeces), Daraxa's Mirador (Mirador de Daraxa), the Hall of the Abencerrajes (Sala de los Abencerrajes) and the Harem (Harén) to the south. 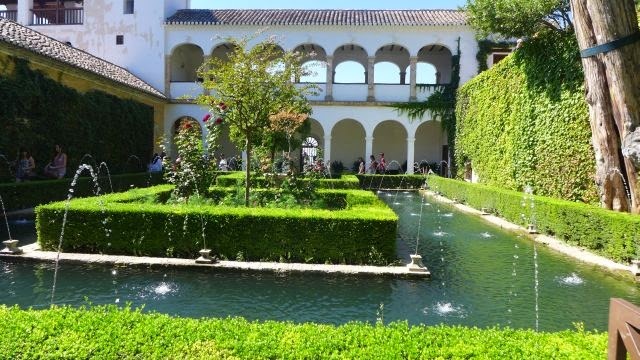 The Generalife was a leisure place for the kings of Granada when they wanted to get away from the official affairs of the palace. It was built in the 13th century and it was redecorated by the king Abu I-Walid Isma'il (1313-1324). 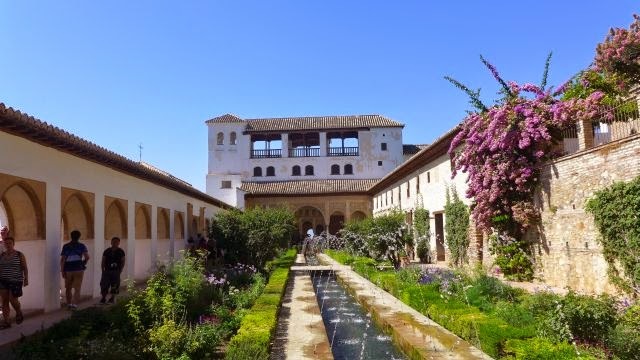 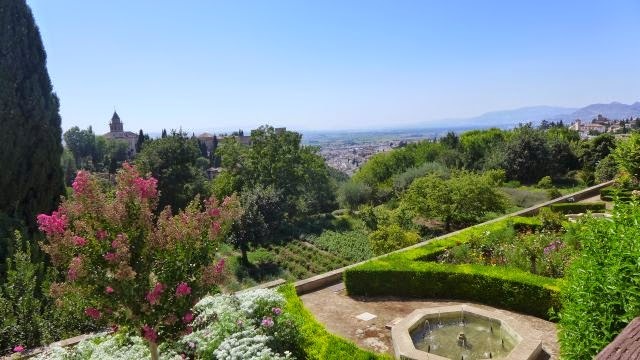 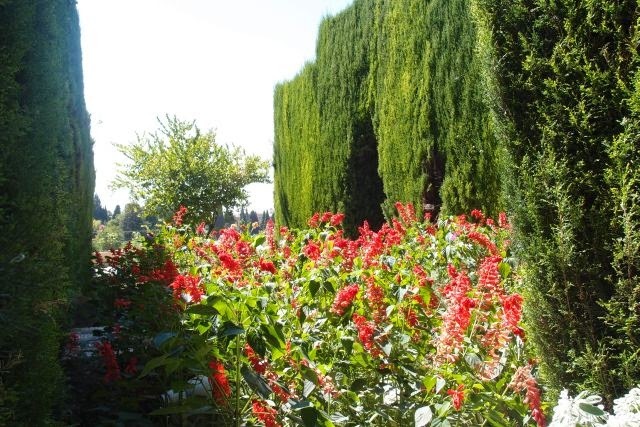 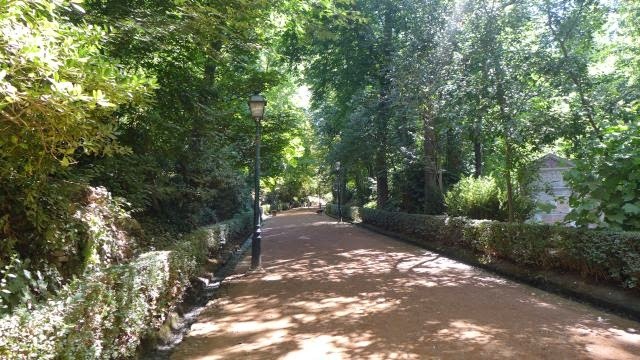 Nowadays the Generalife is formed by two groups of buildings connected by the Patio of the Irrigation Ditch (Patio de la Acequia), a channel that carries the water from the irrigation ditch of the Alhambra. 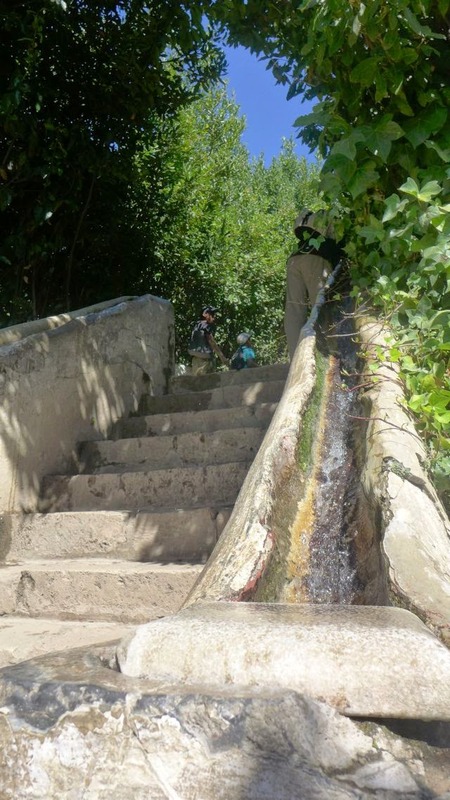 The channel is surrounded by several little jets and has a stone basin at each of its ends. 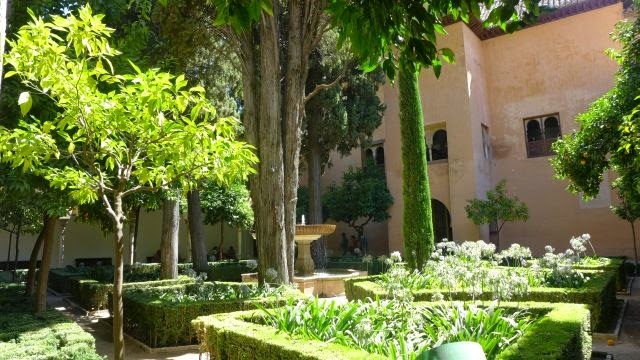 The modern addition to the Generalife are the Lower and High Gardens. 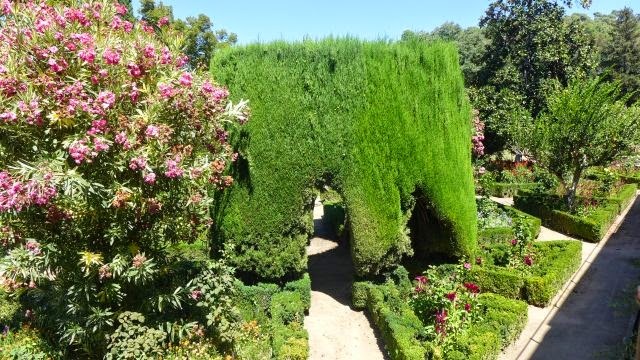 One of the oldest staircases in these gardens (it already existed in the Muslim period) at the Patio of the Cypresses is especially beautiful and original. 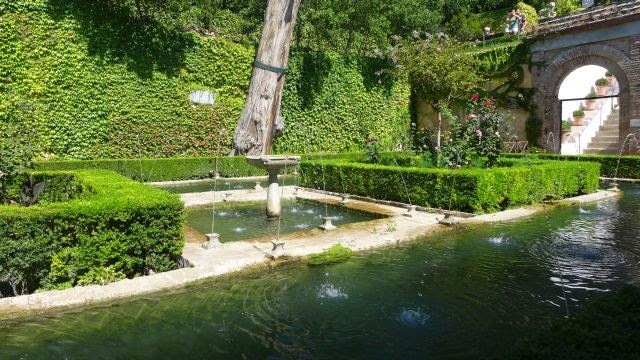 It is divided in three flights, each with a fountain and handrails that are channels with running water. 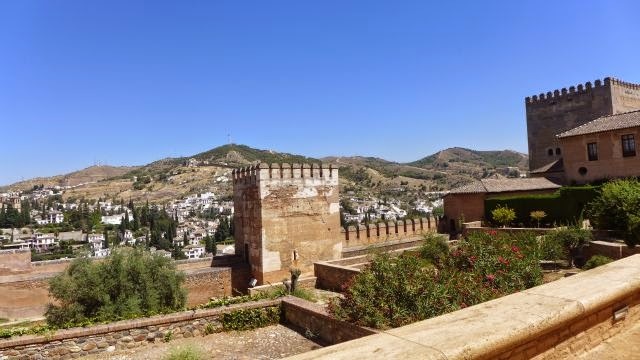 The Alcazaba was a fortress and is the oldest part of the Alhambra. 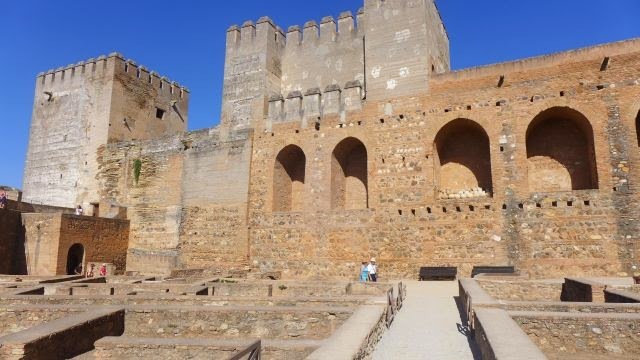 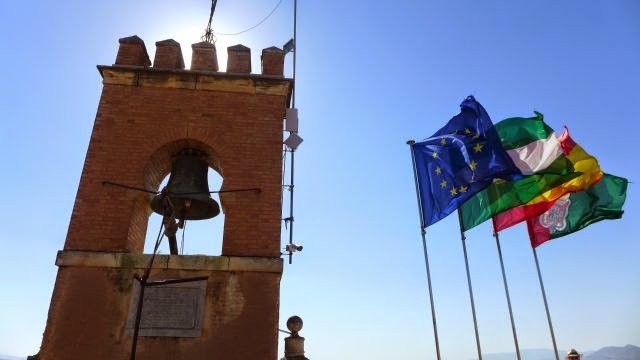 The current complex was built by Mohammed I, who constructed the ramparts around the previous castle, defences and three new towers: The Broken Tower (Torre Quebrada), the Keep (Torre del Homenaje) and the Watch Tower (Torre de la Vela). 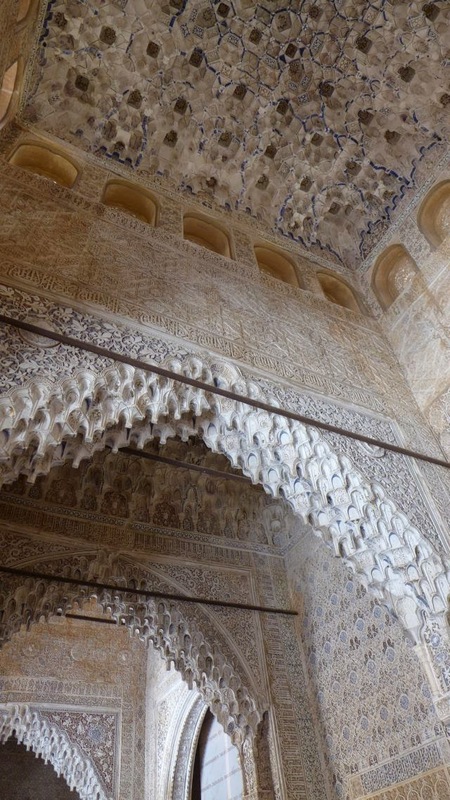 The Arms Square (Plaza de Armas) was the original entrance to the Alcazaba. 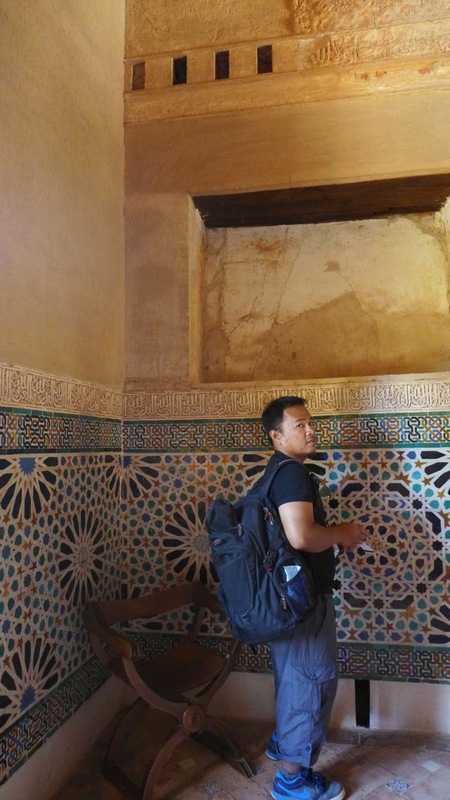 All facts are excerpted from Alhambra official website and here. Do check out the websites for more in-depth information about Alhambra. 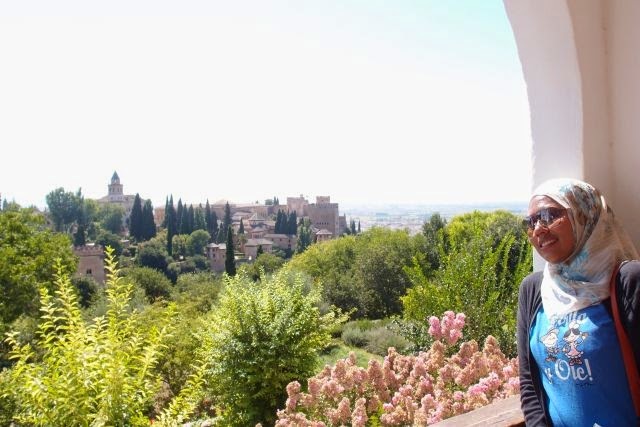 Although pictures tell you a thousand stories, however, you have to visit Alhambra to immerse yourself in the beauty of the architecture and natural landscape. 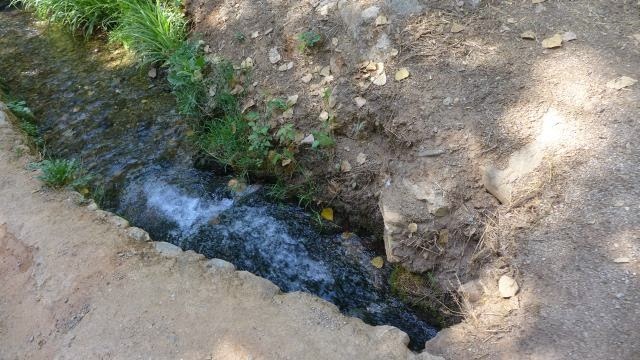 Another note is that it gets really hot during summer so bring sufficient water to hydrate yourself (there are shops selling drinking water in the complex but they are very expensive) and wear sunscreen.